Horse Riding in Madeira Island has a variety of fantastic trail rides through the forest, valleys and hills where you will find spectacular views of the countryside and coast and you can see at close hand the island’s varied and fascinating flora and fauna. Madeira Island is renowned for its stunning natural beauty and what better way to explore than on horseback? 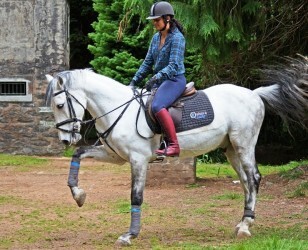 A variety of fantastic trail rides in Madeira through the countryside or lessons for beginners and more experienced riders. Levada da Serra Horse Riding Trail, calm and relaxed horse ride along the Levada da Serra do Faial, through the Laurisilva Forest with superb views over Santo da Serra village and can be enjoyed by riders of all levels of experience! Pico do Suna Horse Riding Trail, a horse ride that will take you up to an altitude of 1200m, offering amazing views. 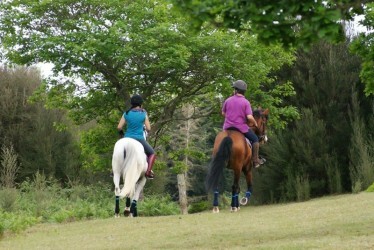 This trail has steep slopes that demand a good riding position and a good control/command of the horse. 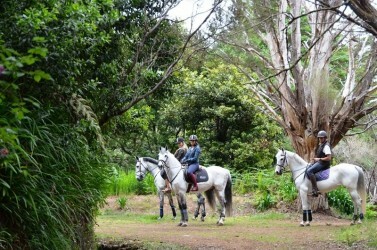 Lamaceiros Horse Riding Trail is a calm and easy ride by a forest track, in the heart of Madeira’s Natural Park. Good for all levels of experience, including beginners. 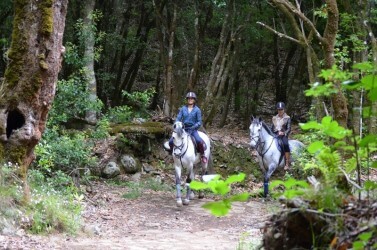 This Horse Riding trail will allow to discover Madeira’s beautiful nature. This trail ride is suitable for all levels of experience, including beginners. 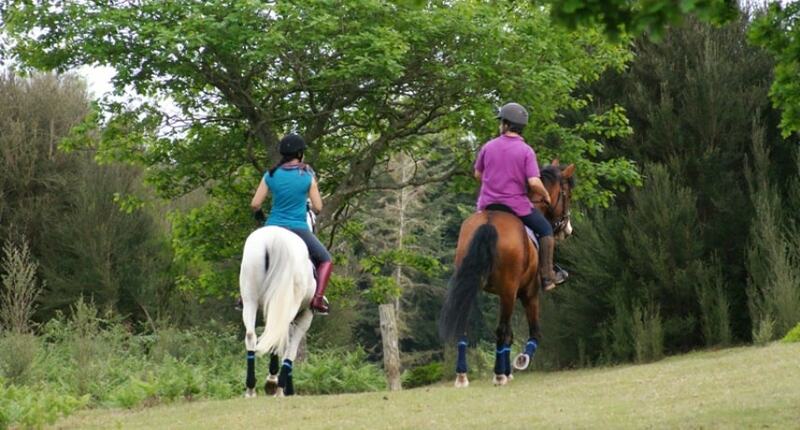 For the more experienced riders trot and canter can be available. A complementary service to the horse trail rides, particularly suitable for situations where childre are unable to control their own horse.